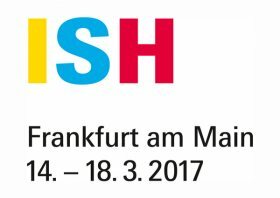 It is an honour for us to have a privilege to invite you at ISH 2017, The world’s leading trade fair for Building, Energy, Air-conditioning Technology, Renewable Energies. The venue of the exhibition is Frankfurt am Main, Germany. The exhibition will be held between the 14th to the 17th of March from 9 am to 6 pm, our stand is the number B64, it is located in the hall 9.2. This exhibition will surely benefit the visitors who want get to know the new generation of vermiculite boards Grenamat AS, Grenaisol, Grenatherm, Grenalight and Grenamat AL and to be in touch with the latest harmless to the health, non-combustible – fire resistant, acoustic, insulation and refractory solutions that these materials offer.